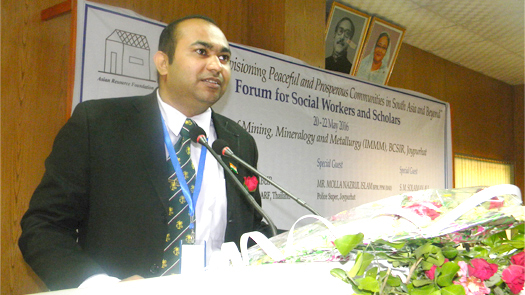 Zulfi is a 2016 doctoral fellow at Aligarh Muslim University (AMU) where he has served as university senior proctorial monitor (the highest post held by the student at AMU), culture and literary secretary, coaching and guidance secretary, and senior hall monitor. He is the first Indian to be elected to represent overseas students at Israel's prestigious Hebrew University Student Union. Zulfi also participated in a number of international conferences when he returned home, including the 2014 New Silk Way International Model United Nations Conference held at Almaty, Kazakhstan, during which he received the Best Delegate Award. During his 2011-12 CCI Program, Zulfi studied business management and administration at Northern Virginia Community College (NOVA). While at NOVA, he became the founding president of the Indian Students Association and actively involved himself in community service and other activities, including the 10th Annual Youth Assembly at the United Nations focusing on Youth Led Development to achieve the Millennium Development Goals. He received the 2012 Service, Excellence, Academic, and Leadership award, an award recognizing him for being among the best of NOVA’s 75,000 plus students.